This fall TV season it looks like NBC isn't the only network to have run out of ideas - it has already commissioned remakes of the 1968 horror Rosemary's Baby and Stephen King's Tommyknockers (which already received a 1996 mini-series adaptation), to add to last season's Hannibal TV series. 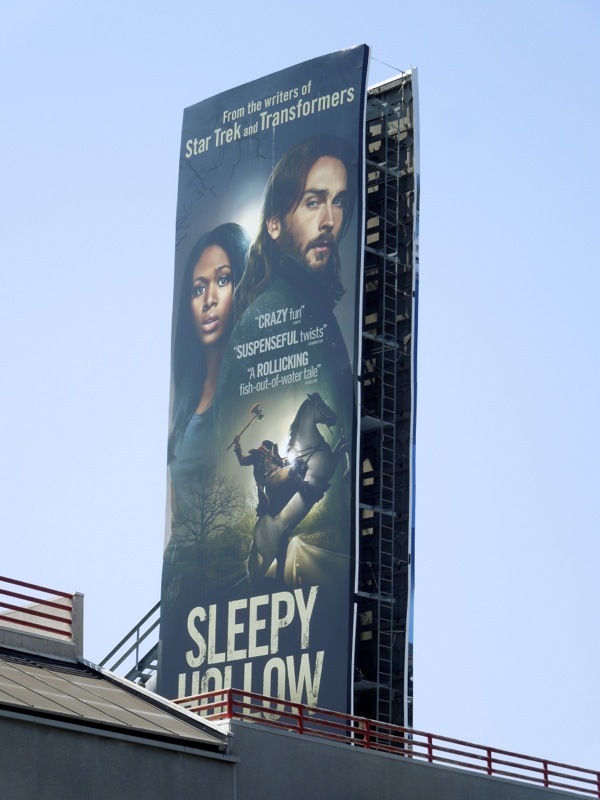 It's by no means a new tradition, but Fox has taken a leaf out of their rival's book and taken a concept based on the 1999 horror fantasy starring Johnny Depp and Christina Ricci, Sleepy Hollow. 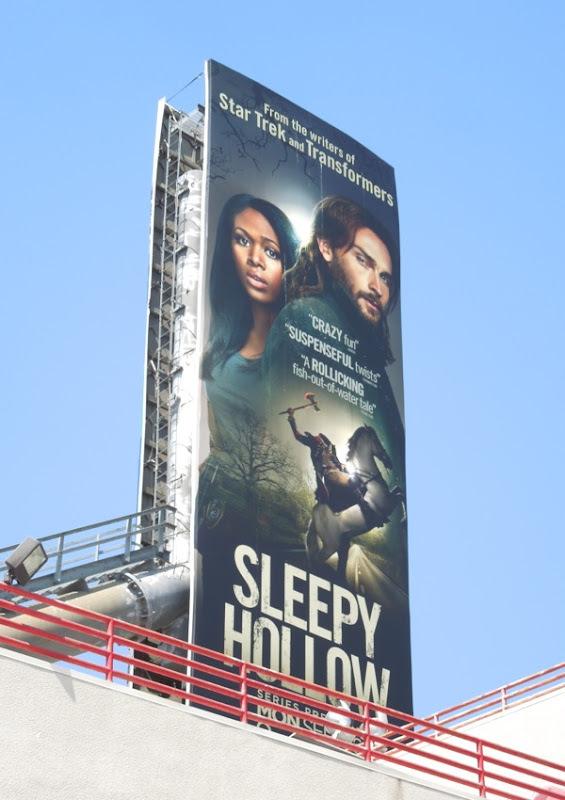 This new episodic television version has a bit of a twist though, as 'Ichebod Crane' (this time played by Tom Mison) is buried during the late 1700's around the time of the Revolutionary War to awaken 250 years later in the present day, only to discover his nemesis the 'Headless Horseman' has been resurrected. Unfortunately his enemy is only the first of the 'Four Horsemen of the Apocalypse' that he must face in modern-day Sleepy Hollow. 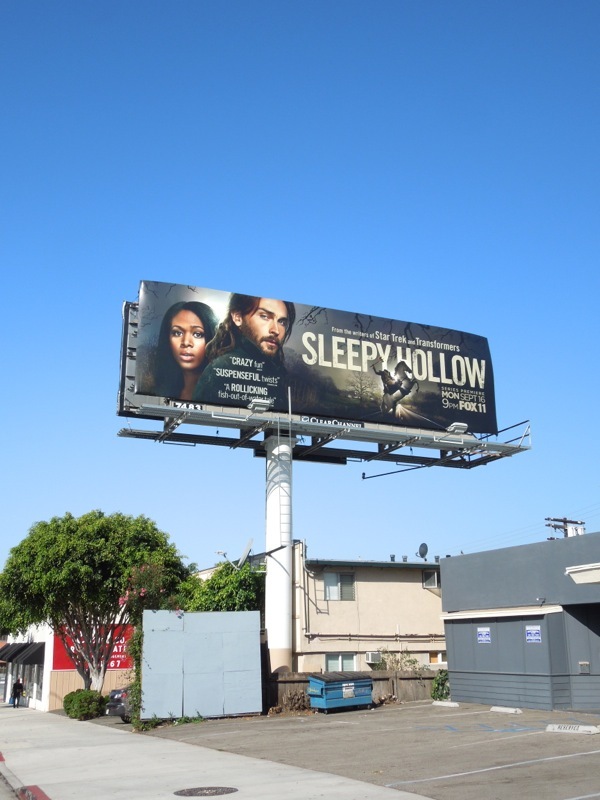 Luckily he's joined by the youthful detective 'Abbie Mills' (Nicole Beharie) and together this unlikely pair try and uncover the secrets of this town in order to protect its future. 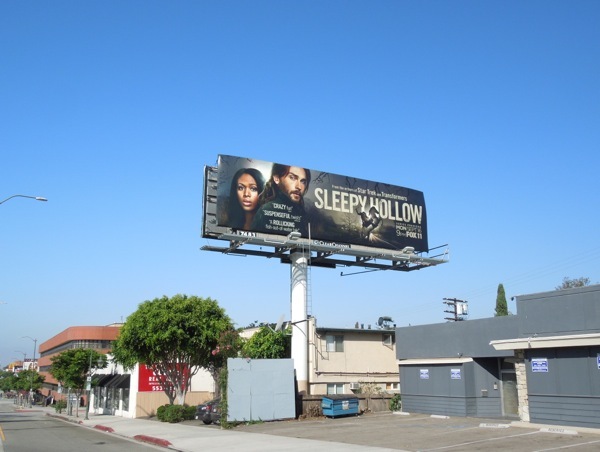 This portrait creative for the new series was spied along Sunset Boulevard on August 6, whilst the landscape format was spotted along Santa Monica Boulevard on August 17, 2013. 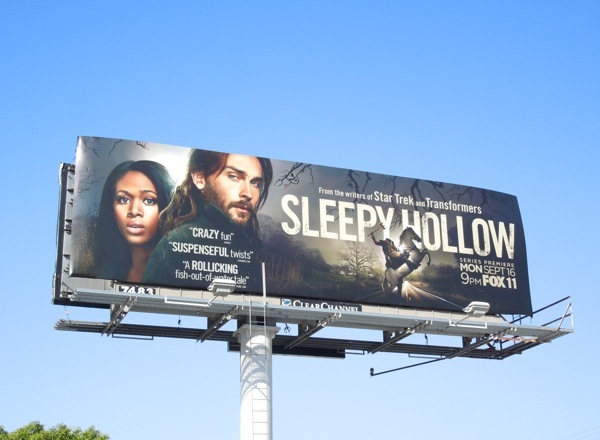 Daily Billboard isn't exactly convinced that writing credentials like Transformers and Star Trek help promote this show though, as this seems like much more of a supernatural crime drama genre than a space or sci-fi action series. Only time will tell if this new show possesses enough originality to help it survive beyond a few episodes or whether audiences will be bored to sleep.